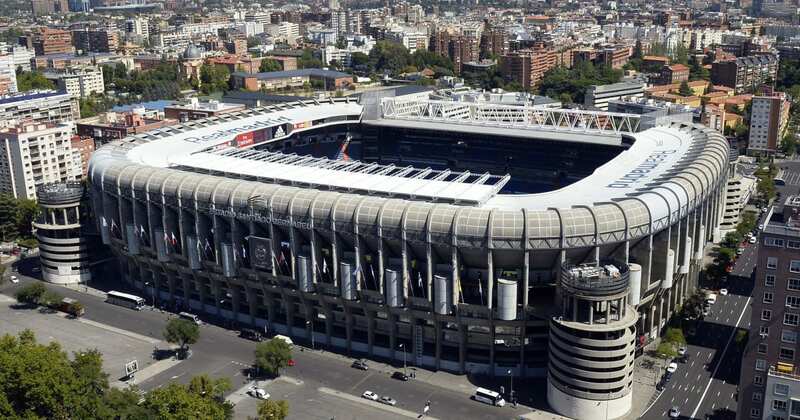 ?Real Madrid have officially launched plans for the redevelopment of the Santiago Bernabeu stadium at a presentation attended by Madrid mayor Manuela Carmena on Tuesday afternoon. Already seven years in the making, Real were given the go-ahead for the work by the Madrid city council last week and work is expected to begin soon on the project, which it is estimated will cost between €525m and €575m to complete. There have been previous false dawns for the renovation, but El Pais noted on Monday of this week that there are ‘no fears this is not the definitive start’. The most striking part of the future Bernabeu, which AS explains is scheduled for completion in 2022 but could actually take four or even five years, is the retractable roof. The whole stadium will be wrapped in stainless steel, while president Florentino Perez estimated last year that the new commercial space will help bring in €150m in additional annual revenue. A maximum of €575m has been borrowed for the project, with Real set to pay that figure back at a fixed interest rate over a period of up to 35 years. “This act is the definitive start of the countdown to launch an authentic architectural innovation in our stadium,” Perez said at the launch event in the stadium’s royal box, via RealMadrid.com. Perez referenced ‘maximum comfort and safety’, as well as ‘state-of-the-art technology’. “A new stadium that will allow us to continue growing and that will be financed with the new revenues that the reform will generate,” the club chief added.